As you can see, things didn't go well for ol' Bec this week. I actually still feel a bit sick with the memory of how my creations turned out. I chose this cheesecake recipe as I'd had my eye on it for a while and it wasn't too expensive to buy the ingredients I needed (as a side note, you need an egg, I just forgot to put it in my picture). I had high hopes, after the buzz from making my Cookie Monster Cupcakes last week, I thought perhaps these ones would turn out just as well. I WAS SO WRONG. They took hardly any time to make (perhaps that is where I went wrong - not enough love), I used the recipe to the flipping letter, which is rare for me as I usually think I'm so much more inventive and baking savvy than I usually am: oh screw this one teaspoon of vanilla, I'm going to use two!! cue the sickliest cake you've ever tasted. I baked these in the oven and they turned out like dense little cakes, the disappointment levels were high but I still rested them and put them in the fridge for four hours, ready to eat for pudding. Oh how I wished I hadn't eaten them, sickly and heavy they did nothing for me. 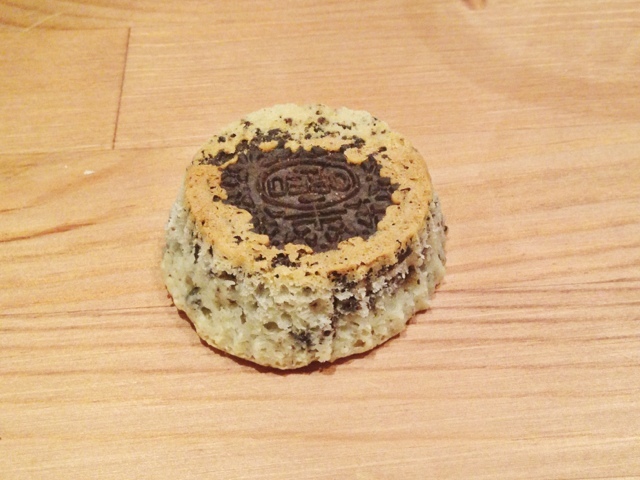 Lee summed it up when he said "you've just ruined a perfectly good Oreo." 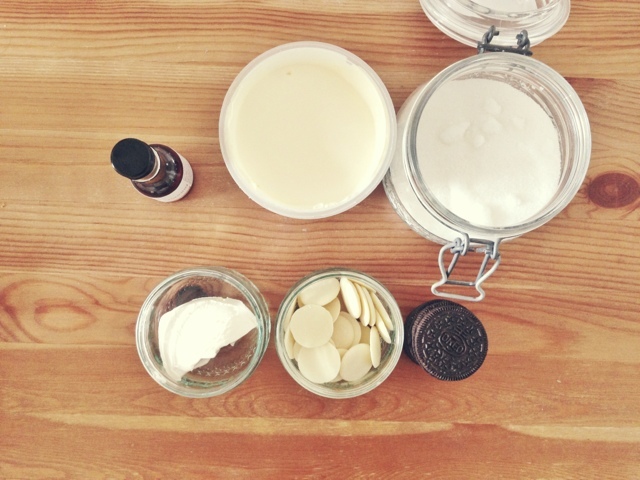 The recipe can be found here, and I hope it goes better for you than it did for me! 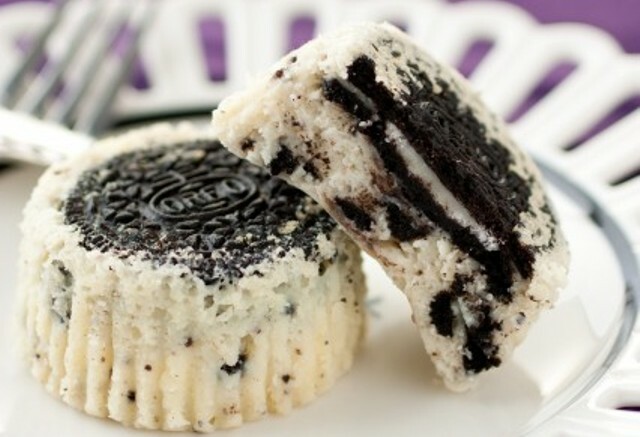 You could maybe scrape off all the cakey stuff and just eat the oreos? I hate when recipes turn out badly, feels like such a waste of ingredient money doesn't it?! Oh my gosh, please do, rainbow cakes are far too advanced for me! omg these look super delicious! 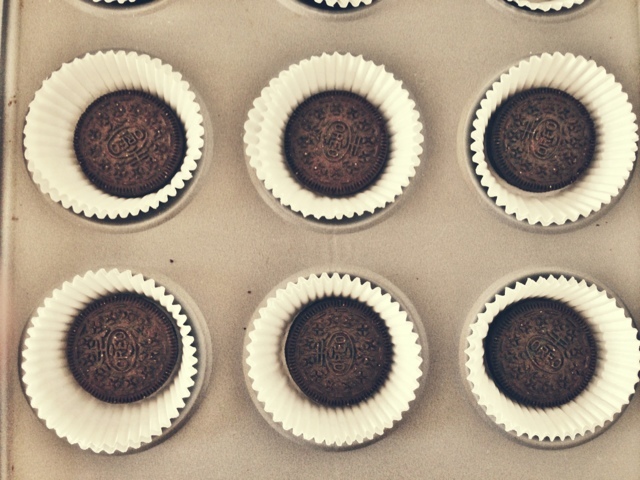 love it when there's a whole chunk of oreo in the cupcake! I don't think they look that bad! Try again some other time maybe. At least you had a shot, I'm terrible with baking hah!